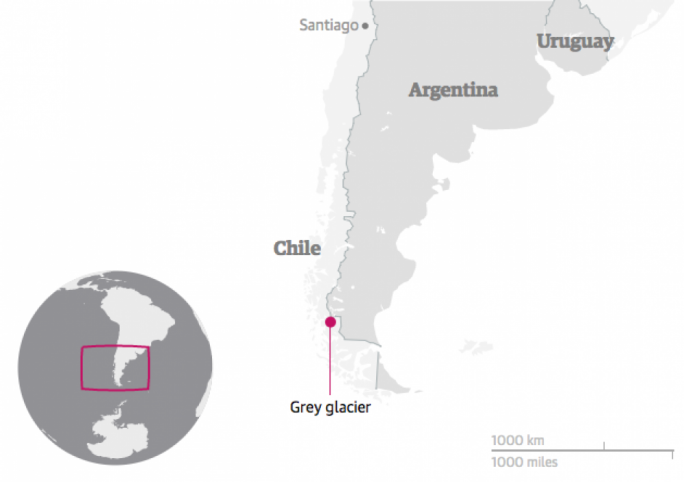 A large iceberg broke off the Grey glacier in southern Chile, according to authorities on Tuesday, stating that the cause of the rupture was unclear. 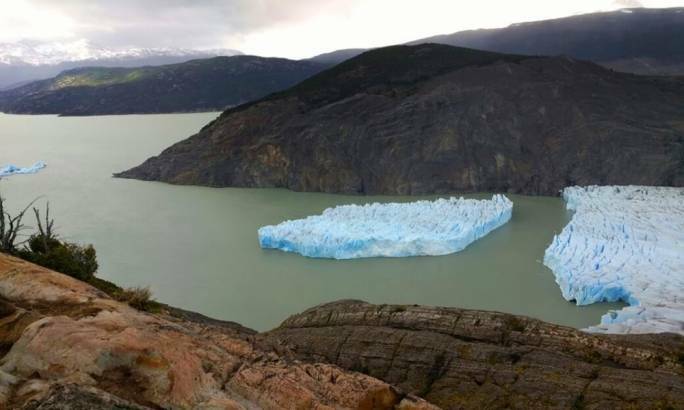 Chile’s Conaf forestry service shared photos on social media of the enormous block of blue-white ice, which measured 350m long by 380m wide, as it floated free in waters of a glacial lagoon near the southern tip of the South American continent. Park officials at Chile’s Torres del Paine National Park, home to the glacier, said such ruptures were rare and had not occurred since the early 1990s. Dr Ricardo Jaña, glaciologist from the Chilean Antarctic Institute, said the iceberg was bigger than expected. Torres del Paine is one of Chile’s most popular tourist attractions, famous for its mountain views and visited by more than 115,000 tourists annually, according to Conaf. Grey glacier is located in the Southern Patagonian ice field, just west of the Cordillera del Paine. Before dividing in two at its front end, the glacier is 6km wide and more than 30m high.